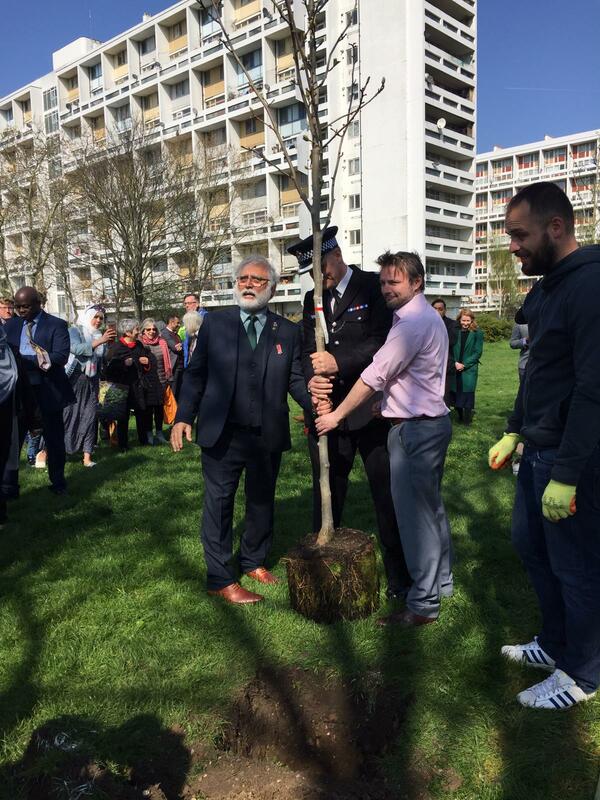 On Monday the 1st of April 2019, as part of our Interfaith Tree Planting Project sponsored by the Mayor of London, Faiths Forum organised a tree planting event in Wyck Gardens in Lambeth. We were joined by several local Lambeth Councillors, including Councillor Irfan Mohammed, Lambeth Council leader Councillor Jack Hopkins, Councillor Donatus Anyanwu and Councillor Emma Nye. 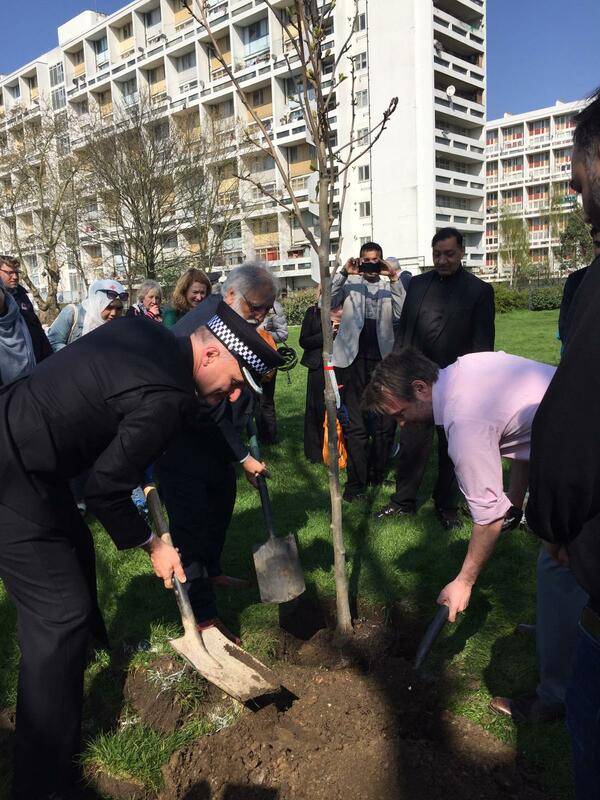 We were also joined by Umar Mahmoor, Vice Chair of Lambeth Borough Police. The event was also attended by children from the Effra Early Years Centre. It was an opportunity to bring together people from a diverse range of ages and faith backgrounds to care for the environment.